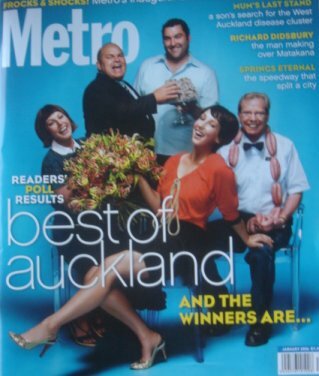 "Metro" readers have voted Rodney Hide as the top Auckland MP of the year. Doesn't Metro sell south of the Bombay Hills? Why only Auckland? Congratulations Rodney, you've been a truly inspirational leader in a very tough year for ACT. Have a good break and come back better than ever.